The "Holiday Greetings" were all recorded on one cart, so each play would advance to the next greeting on the tape. There was one cardinal sin, however, and that was playing your own greeting. In theory you were supposed to check the list to see which one was played last, and to advance the cart off the air if yours came up. Evidently, John Sylvester was guilty of not doing this! 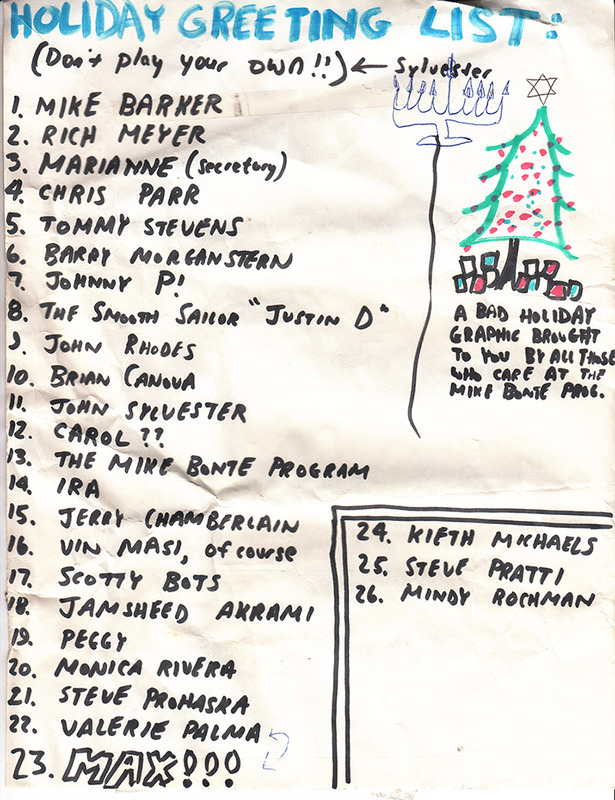 This is a scan of the list that hung on the control room bulletin board for the Christmas season 1997. In addition to some festive graphics, it was clearly defiled by (probably) Ian Lainof, token Jew of WPSC-FM.